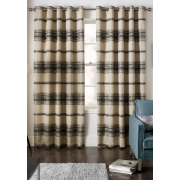 These stunning Painted stripe readymade curtains from Jeff Banks will add the perfect finishing touch to your room. 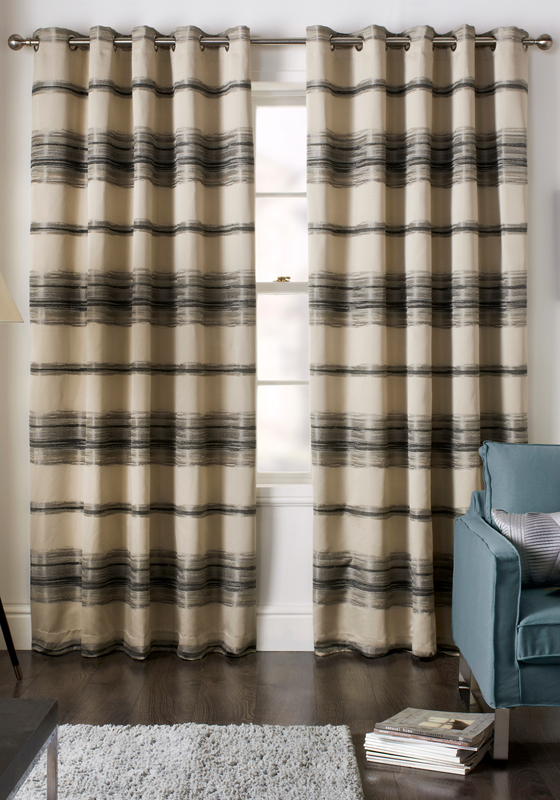 They feature a modern stripe with flashes of shimmering yarns in shades of silvers and greys. They come fully lined with eyelet ring tops.